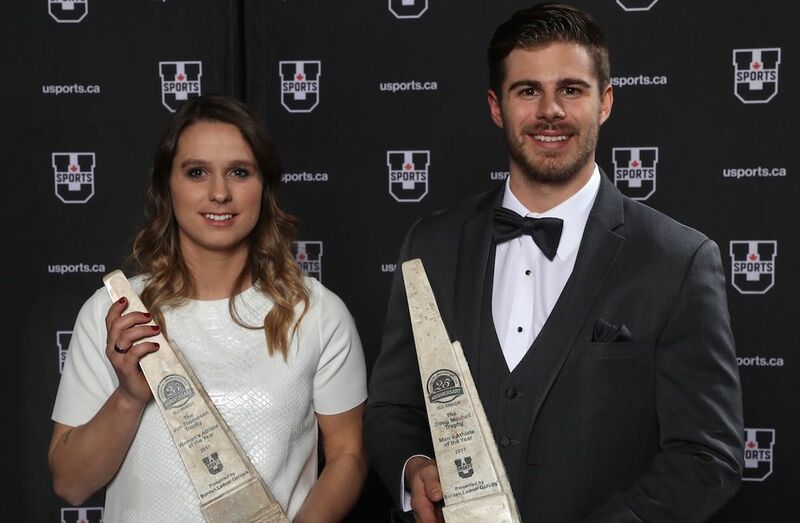 Arielle Roy-Petitclerc, a soccer player from the Laval Rouge et Or, and Philippe Maillet, a hockey player from the UNB Varsity Reds, are the BLG Award winners as U SPORTS Female and Male Athletes of the Year for the 2016-17 season. The recipients of the 25th annual BLG Awards were announced Monday night at the Martha Cohen Theatre in Calgary. The awards show will air nationally May 17 at 7 p.m. ET on Sportsnet 360. All eight nominees – one female and one male from each of the four U SPORTS conferences - received a commemorative gold ring from Jostens, the official supplier of U SPORTS. Roy-Petitclerc and Maillet were also presented with a trophy and a $10,000 scholarship to attend a Canadian University graduate school. The winners were once again selected by the Canadian Athletic Foundation, a not-for-profit Board established for the purpose of administering the BLG Awards and protecting the integrity of the selection process. For the third straight year, the general public was also invited to vote online (votes that didn’t count towards the official result) and nearly 23,000 votes were cast over 11 days. Petitclerc, a native of St. Nicolas, Que., in her fourth year of U SPORTS eligibility, captured the Jim Thompson Trophy, presented annually to the female winner. She becomes just the second BLG Award recipient from Laval, joining volleyball player Marylène Laplante (2006). Maillet, who finished his fourth year of U SPORTS eligibility, returns home with the Doug Mitchell Trophy. The Terrebonne, Que., native is also only the second BLG Award winner from UNB, following in the footsteps of current Varsity Reds associate coach and former men’s hockey player Rob Hennigar, who earned the program’s inaugural award in 2008. The other female finalists for this season were StFX X-Women hockey player Sarah Bujold of Riverview, N.B., Queen’s Gaels cross country runner Claire Sumner of Calgary, and UBC Thunderbirds volleyball player Danielle Brisebois of Caledon, Ont. 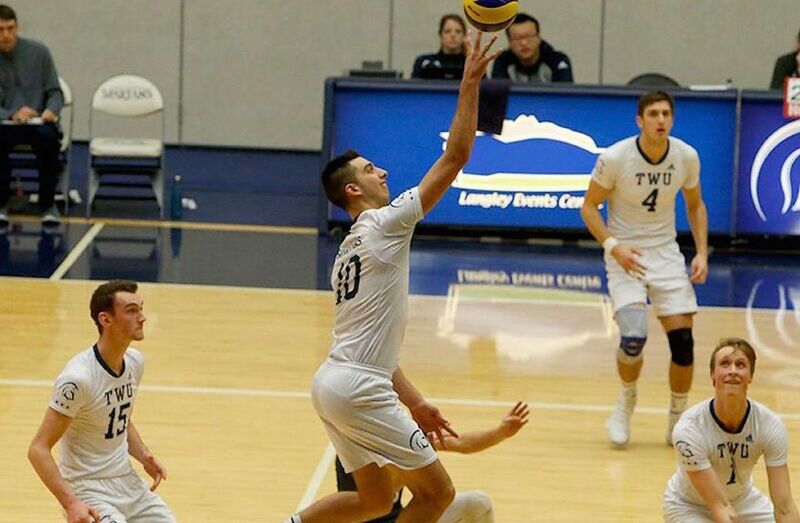 The other male nominees were Laval Rouge et Or football player Mathieu Betts of Montreal, York Lions soccer player Jonathan Lao of Unionville, Ont., and Trinity Western Spartans volleyball player Ryan Sclater of Port Coquitlam, B.C. 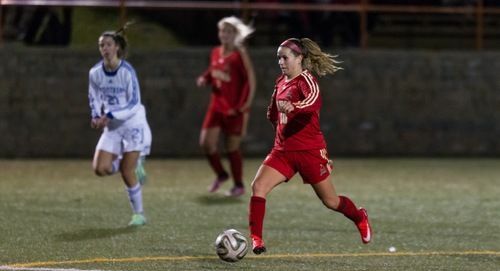 The cornerstone of the Laval women’s soccer team, Arielle Roy-Petitclerc won the Chantal Navert Memorial Award, presented to the U SPORTS Player of the Year this season. She became the third Rouge et Or representative to get her hands on this prestigious title, after Francine Brousseau (2007) and Marie-Claude Dion (1996). The midfielder finished tied for first place in the RSEQ with 18 points, including 10 goals in 14 games. In addition, Roy-Petitclerc was named most valuable player of the game on seven occasions, including the provincial semifinal and final. She continued her good work at the nationals, where she led the Université Laval to its second title in three years, while being named to the U SPORTS Championship All-Star Team. Those performances earned her the Rouge et Or Athlete of the Year award. A member of the first all-RSEQ team in each of her four campaigns in Laval, she also was a Second Team All-Canadian in her first three seasons. Quebec’s rookie of the year in 2013, she greatly contributed to the first Canadian title won by the Rouge et Or the following year in Quebec City. In the summer of 2015, the St. Nicolas, Que., native was also an important part of the Canadian team at the Universiade in Gwangju, South Korea. A member of the starting lineup, Roy-Petitclerc, helped Canada finish in fourth place, the country’s best result at the world university games. Philippe Maillet has become one of the most prolific scorers in AUS and U SPORTS hockey during his four years with the UNB Varsity Reds. In 101 regular season Atlantic University Sport (AUS) games, the shifty right-winger scored 60 goals and added 106 assists for an incredible 166 points, an average of 1.64 points per game. Those numbers might be even more impressive if injury hadn’t limited Maillet to just 17 regular season games during the 2015-16 season. Statistically, Maillet’s fourth season was his best. He had 23 goals and 32 assists to lead the nation in scoring, en route to being named the U SPORTS Player of the Year and winner of the Senator Joseph A. Sullivan Trophy. He followed that up with four goals and 10 points at the University Cup, taking home Championship MVP honours as UNB won the national title on home ice – the team’s second straight and third in the last five years. Maillet, who is working on a Bachelor of Business Administration degree, also led the nation in regular season power play goals, with 14 and a plus-minus rating of +34. The Terrebonne, Que., native is also a two-time AUS MVP, a three time AUS First Team All-Star, and a two-time U SPORTS First Team All-Canadian. Maillet has twice been named the University of New Brunswick’s top male athlete (2014-15 and 2016-17). In both 2015 and 2016, Maillet was selected to join a team of U SPORTS All-Stars that took on national junior team hopefuls. Unable to play due to injury, in 2015, he registered a goal and an assist in the 2016 event in December during the annual two-game series. Prior to joining the Varsity Reds, Maillet spent four seasons with the QMJHL’s Victoriaville Tigres, registering 240 points (92 G, 142 A) in 252 regular season games. Following the conclusion of the University Cup, Maillet signed an amateur tryout agreement with American Hockey League’s (AHL) Ontario Reign, the top affiliate of the NHL’s Los Angeles Kings.